Headquartered in Brentwood, LifePoint Health's facilities in Tennessee are mostly in outlying areas like Carthage, Pulaski and Hartsville. The proposed buyout of LifePoint Health, a hospital operator based in Brentwood, sheds some light on the state of rural health care: Analysts say companies that run small-town hospitals have to be leaner and more nimble. The fact that private equity firm Apollo Global Management is willing to bet nearly $5.6 billion on LifePoint, in a deal announced Monday, shows there is at least potential for money to be made, says Frank Morgan of RBC Capital Markets. "There are a lot of services that are not being delivered in the rural marketplace that probably could be," he says. He points to city hospitals extending their services farther and farther out from their main campuses. If a rural hospital had investors willing to compete for the business, Morgan figures it could probably fend off an urban competitor and increase its profits. But that doesn't mean a hospital has to be full-service, especially when it's in a town that's losing population, especially young people. John Ransom of Raymond James figures private investors will push for difficult decisions, like converting some facilities to free-standing emergency rooms. "If you're going to get a knee replacement, it makes sense to drive an hour to the place that's done a lot of knee replacements," he says. "It makes less and less sense to have a general surgeon in a small market who does five of these a year." Still, Ransom says the proposed merger shows rural hospitals can be valuable entities if they're run well. The purchase price for LifePoint is 36 percent higher than what its shares were worth before the deal was announced. Apollo plans to merge LifePoint with RCCH, another hospital operator it owns, also based in Brentwood. Both companies — with a combined 80 hospitals — specialize in rural markets that tend to struggle against the larger demographic trends. And since most of their patients have federal insurers like Medicare and Medicaid, they've been more vulnerable to changes in how those programs pay hospitals. The new investors believe increasing scale is a way to improve profit margins. "We are excited that LifePoint and RCCH are combining to create a national leader in community-based healthcare and are looking forward to the next chapter of the combined company’s growth," Apollo senior partner Matthew Nord said in a statement. Disclosure: LifePoint's CEO Bill Carpenter chairs the Nashville Public Radio board of directors. 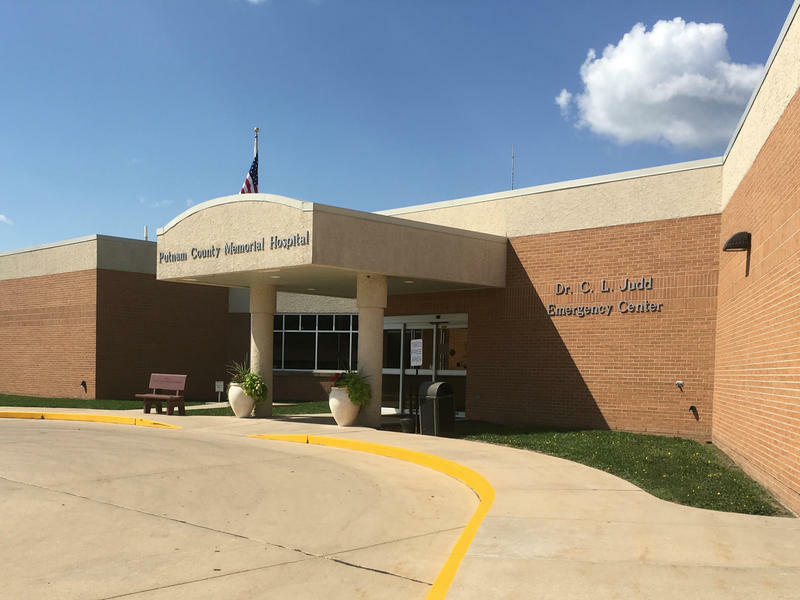 The only hospital serving the community of rural Callaway County, Mo. — Fulton Medical Center — was set to shut down last September. When staff arrived one afternoon for a potluck goodbye party, they were met with an unexpected guest, Jorge Perez, a management consultant from Florida. He announced he'd just bought the hospital, and planned to keep it open. When Perez spoke about the takeover four days later to a packed city council chambers in Fulton, Mo., he got a standing ovation. Tennessee's economic development officials want to help rescue rural hospitals. They propose dispatching restructuring specialists to a dozen or more hospitals that are teetering on the edge. Rural hospitals in Tennessee have been some of the most stressed in the country. Eight communities are getting used to life after losing their only hospital, and more facilities are teetering. So health officials are exploring the options and pointing to the town of Hohenwald, which has made do without a hospital for two decades.